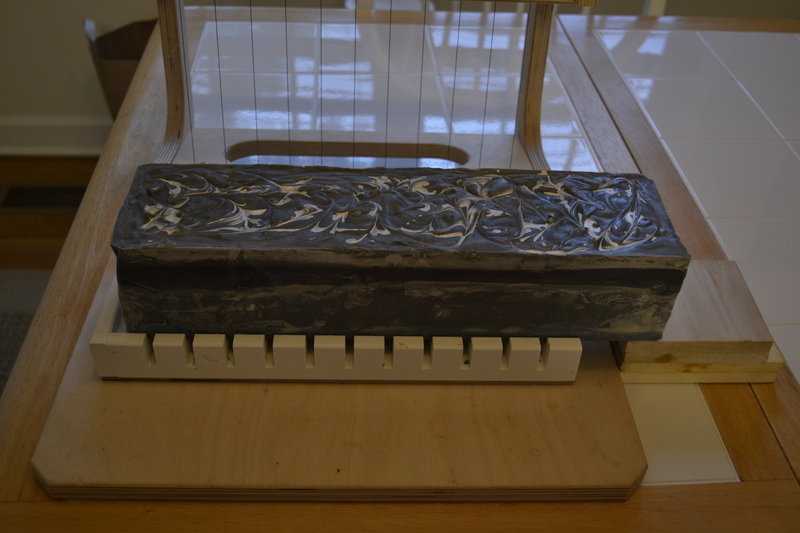 For this month’s challenge Amy asked us to make soap with cold process embeds. I had a vision of a crescent moon and some stars in the midnight sky. I was sure I could pull it off. My first attempt at making the moon was an epic failure. 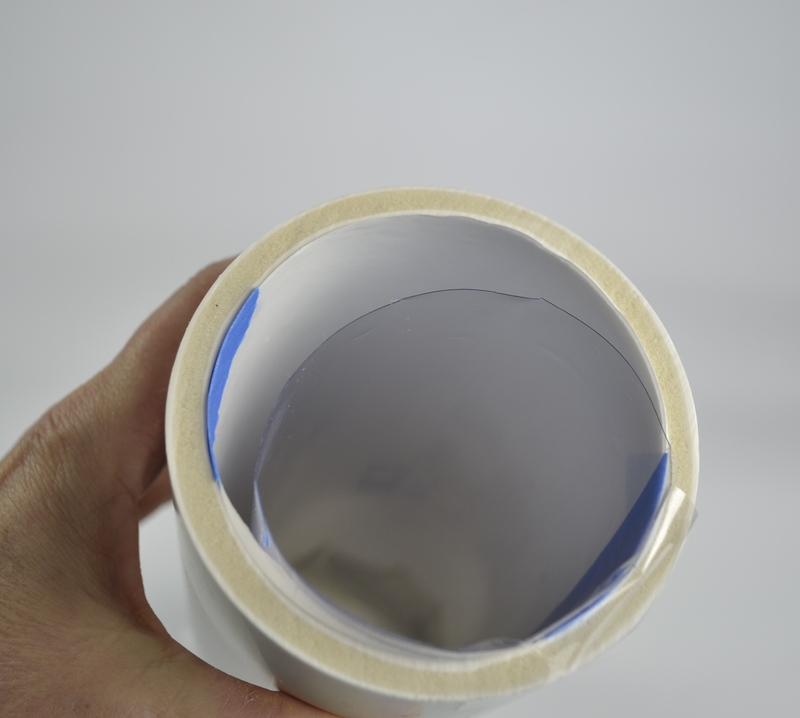 I decided to use an acetate sheet inserted into a PVC pipe to make the moon. It seemed easy enough. 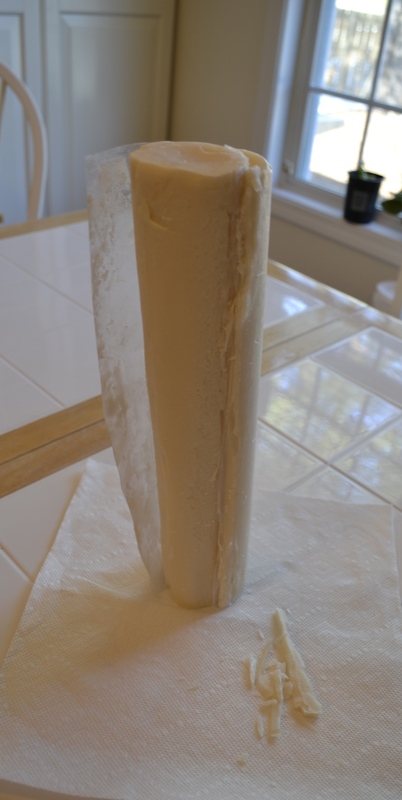 But when I started to pour the soap I found that the acetate was too thin and easily bent. So I had to pour on both sides. It looked like it was going to work. And I even got it out of the mold with no problem. But that is where it ended. I could not get the soap out of the acetate without breaking or cutting it. So it was back to the drawing board. 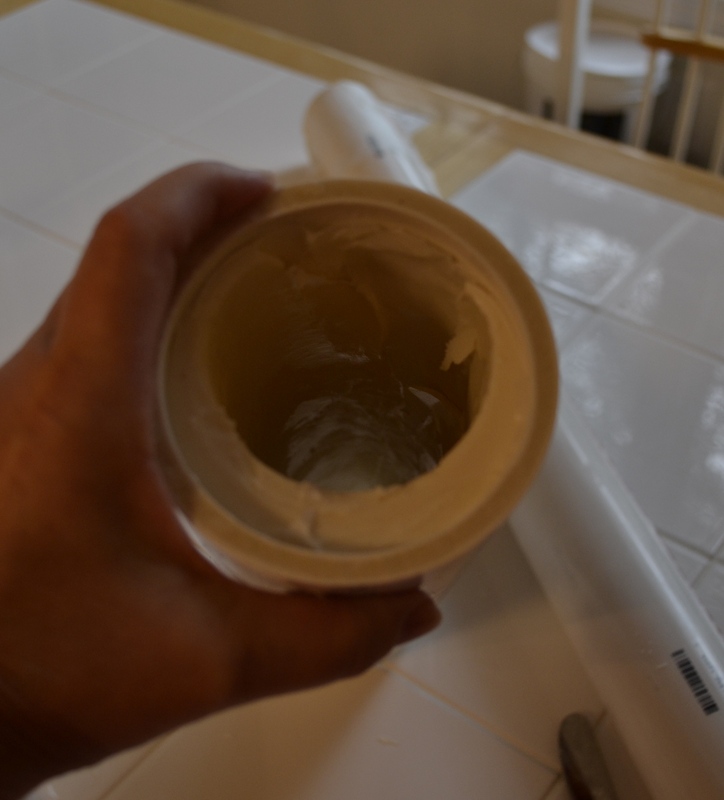 This time I used a sturdier divider by putting a 2 inch PVC pipe inside my 3 inch pipe. 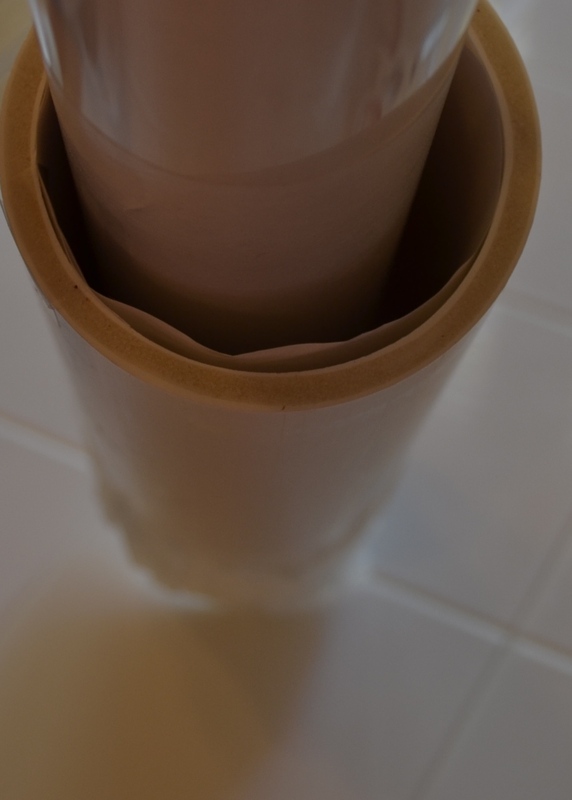 Both pipes were lined with freezer paper and there was no problem getting it out of the mold. It was out in one piece but definitely needed some clean up. That was kind of fun – I could see myself sitting on the back porch whittling some wood. So I poured a layer of dark blue with some white for the first layer. Then in went the moon. Only it wouldn’t stay in place. I figured that once it was surrounded by soap about half way up it would stay put. So a couple of strategically place skewers did the trick until I could get enough soap in the mold to hold it. The plan was to pour several gradient layers of dark blue turning to charcoal. That is where another glitch came in – there wasn’t enough soap to completely cover the moon. I was so happy that I had master batched some oils and lye and could quickly make some more soap. 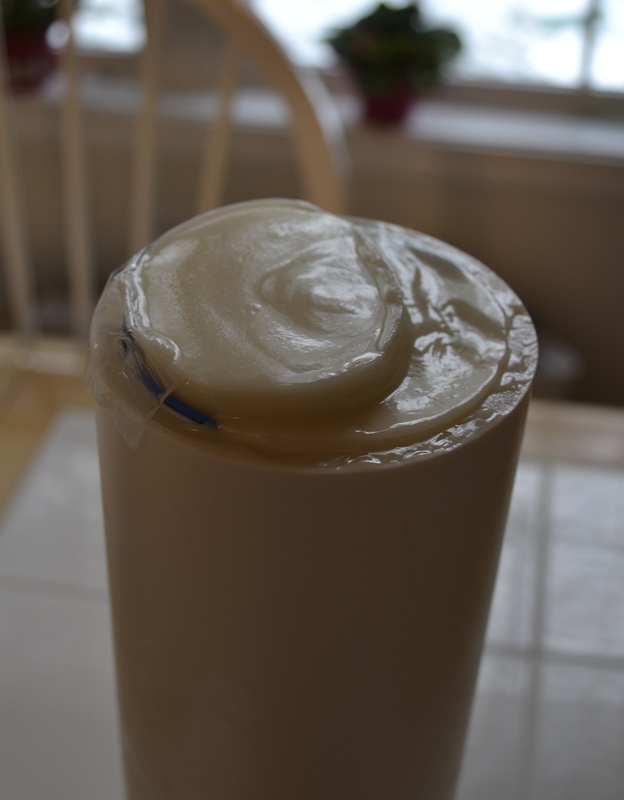 I wish soap would look like it was just poured when it cures but… By the time the soap was poured it was cold and I knew it was not going to gel so into the fridge it went to make sure we didn’t get partial gel. Here it is waiting to be cut. As you can see there was some ash to deal with. (Also confession time – the new batch of soap I made at the end didn’t find it’s way to the middle of the soap and some pieces have a void.) Fortunately a few turned out. This was not as easy as I envisioned going into the venture. Amy once again provided us with a fun challenge. Thank you Amy. This entry was tagged crescent moon, Soap Challenge Club. Bookmark the permalink. ← Alternative Lip Balm Uses! What a beautiful soap! 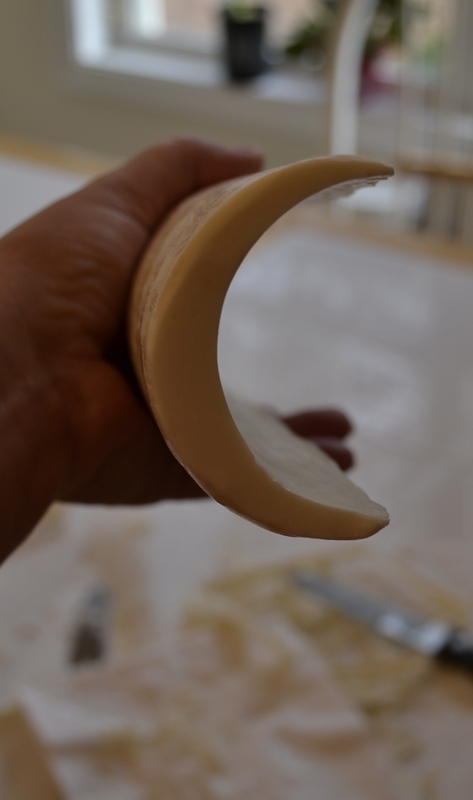 The moon-shaped embed came out great. I love this picture-like design. Wow, your soap turned out beautiful! Great job! Wow, your soap turned out beautiful, great job! A great learning experience, thank you for sharing. 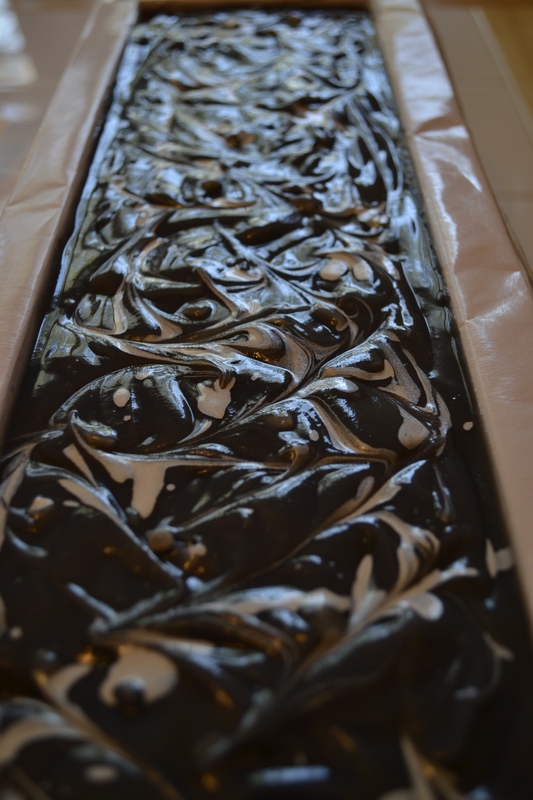 Your soaps that turned out are really beautiful – stunning! Love that crescent shaped embed! Thanks Christine. It was a challenge to make it. Your soap turned out really cool. Nice job. 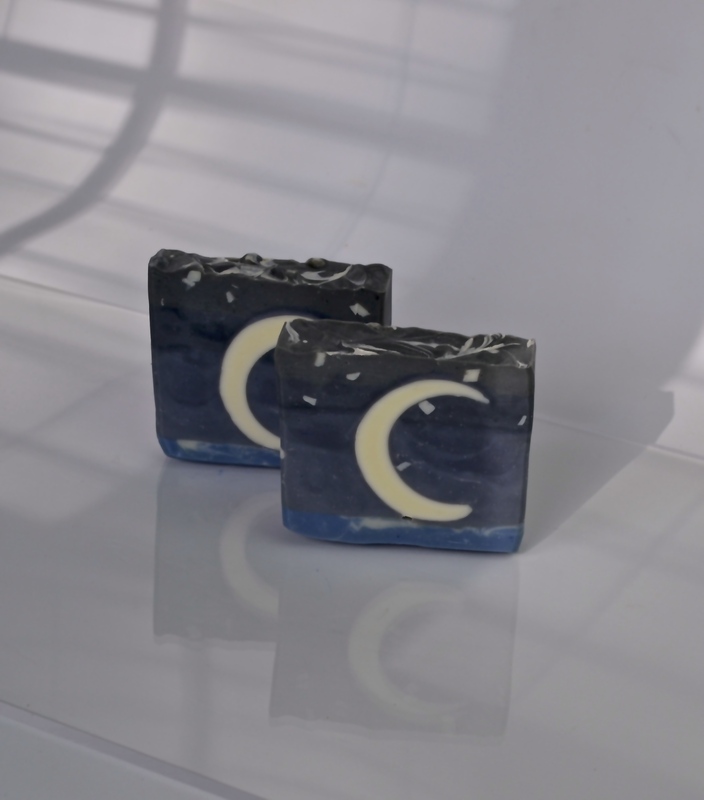 Great job with the moon; your soap turned out beautifully.